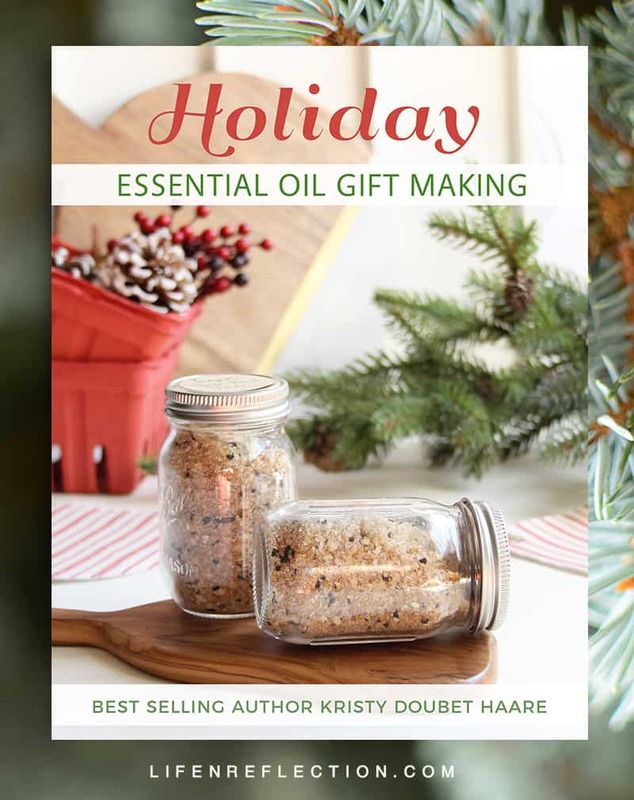 Best Selling Author Kristy Doubet Haare infusing the holidays with essential oil gifts to de-stress and unwind in her 11th book. 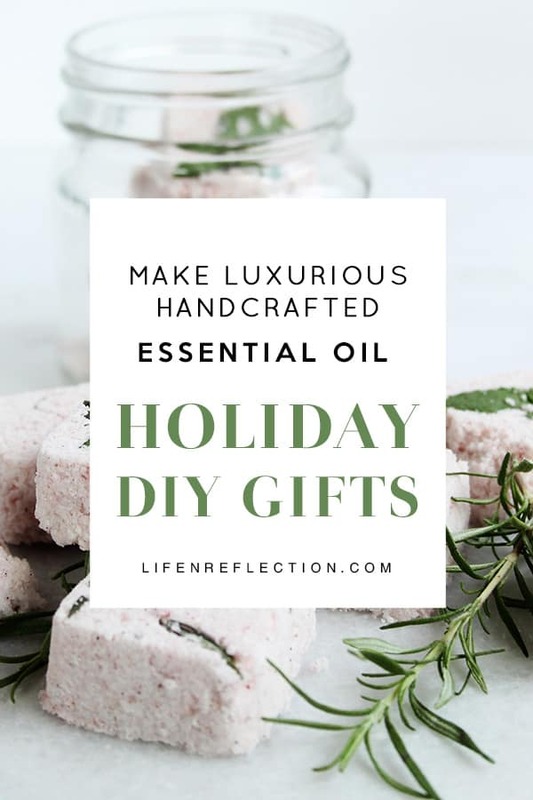 Holiday Essential Oil Gift Making is an incredible resource to make luxurious, yet simple gifts for everyone on your list! Hi, I’m Kristy founder of Life-n-Reflection and best selling author of the Bittersweet Walnut Grove series. 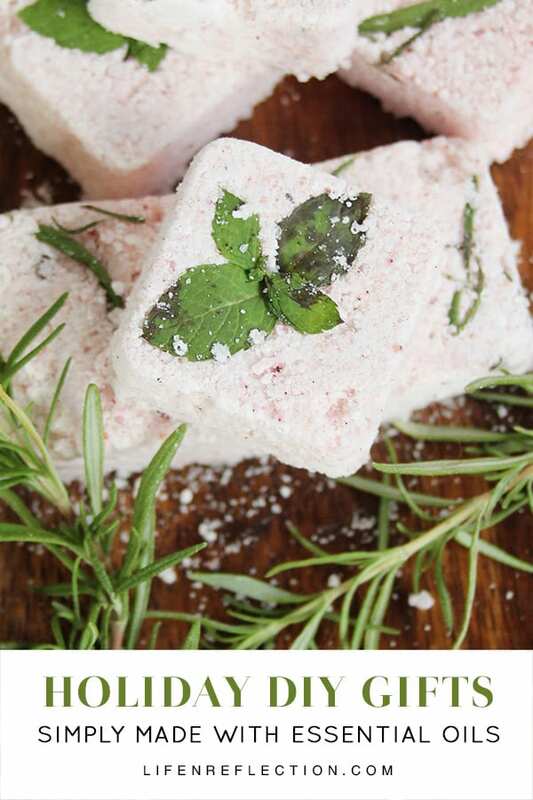 I am so excited to share with you my favorite holiday essential oil recipes! When the holiday gift giving season rolls around it can be especially difficult for those of us who choose to live a greener lifestyle. We want to give unique, thoughtful gifts that are not wasteful or over the moon expensive. The thought of pacing the retail stores, while searching for that perfect gift is daunting. The holidays can be overwhelming, no doubt on both your time and budget. Here’s your chance to make this holiday gift giving season entirely different! 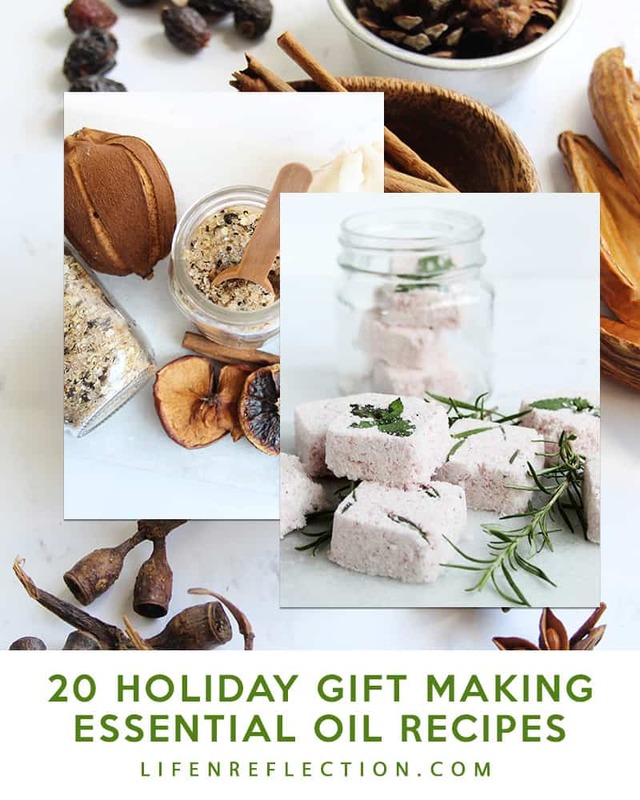 Creating thoughtful gifts made with pure essential oils and natural ingredients is rewarding on some many levels. For the cost of one conventional gift, you can make several unique gifts for family and friends. And you can skip the long lines at retail store, after retail store when you make each gift in the comfort of your home with a cup of peppermint hot cocoa in hand. Order Now to Start Creating! Kristy’s Holiday Essential Oil Gift Making book is fabulous!! I have been racking my brain for ways to make personal gifts this year for Christmas and now I have the perfect guide. All the recipes and pictures make them look and sound good enough to eat! Maybe you’re not the “DIY” type? No need to worry, because you will soon discover it’s easier than you ever thought! If you can read a measuring cup and stir – you’ve got this! Crunched for time? Each recipe typically takes 30 minutes or less to create several gifts. Many take just 5 to 10 minutes, which signifcantly less time than you would spend driving to stores, browsing stores, and finally standing in line purchase your items. You have a budget to stick too? Most ingredients you will have on hand and each recipe is less than $5 to make! Saving you money with beautiful handmade gifts. What are you waiting for? Make the holiday season festive with gingerbread whipped body butter, apple cider wood crackling candles, peppermint cocoa lip balm, and much more! Pick a holiday essential oil recipe and get going today, with a copy instantly sent to your email.